This is the second post in the series “Engineering in an Age of Limits”. We are facing limits in natural resources, particularly oil; there are limits to our finances (money has to be based on actual goods and services); and there are limits to how much we can continue dumping waste products in the air, the sea and on land. This is not the first time that society has faced such a transition. At the beginning of the 18th century the principal source of energy in northern Europe was wood. However the forests had largely been depleted so a transition to a new source of energy, coal, had to be found and exploited. However, the extraction of coal from underground mines posed new technical challenges particularly removing the water that flooded those mines. 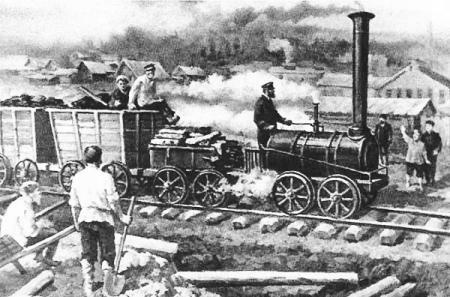 So new technologies, particularly the steam engine, had to be developed. Necessity was indeed the mother of invention. These technological changes led to the creation of the profession of engineering. It is suggested in these posts that the transitions that we are currently experiencing could generate equally profound paradigm shifts. How this will impact the engineering profession remains to be seen. We have also, during the course of the last two years, published other posts to do with these topics. They are all listed at our Welcome page. Imagine that, two thousand years ago, you could have flown over northern Europe from what is now western Russia, across northern Germany and France, and then over England and Eire. Looking down from the airplane you would have seen one continuous forest with just the occasional scattering of clearings, villages and towns, the occasional small city and a few narrow roads. The light and dark green areas in the sketch below (Oak Ridge) show the extent of that primordial forest. Most of that forest has gone now — were you to make the same airplane ride today you would mostly see fields, towns, large cities and extensive transportation systems. Why? What happened in the last two thousand years to cause such a dramatic change in the landscape? The answer to the above question lies in the nature of the soil and climate. The soil is heavy and the climate is cool and wet. Consequently, even if the trees are cleared it is difficult to plow the soil and thus grow crops. 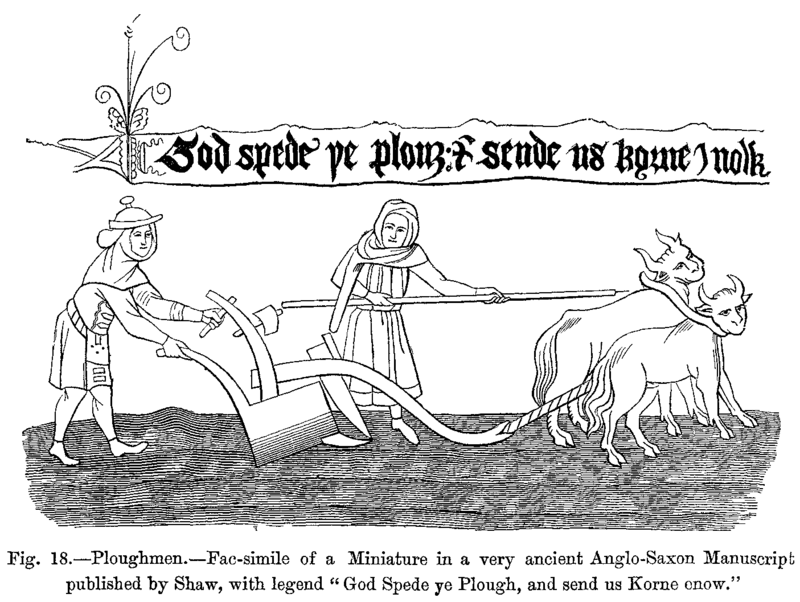 And then, sometime in the 9th century (a period of time that we ironically refer to as the Dark Ages) they developed the heavy cross plow. This plow was able to turn the heavy soils of northern Europe and thus open up huge areas for cultivation — but first the trees had to be cut down. Deforestation and the subsequent availability of new agricultural land led to substantial population growth and to changes in the way society was organized. For example, the new plow, being much heavier than the plows used for turning the light soils of the Mediterranean lands, needed teams of oxen to pull it. Its use also encouraged the creation of long strip fields. And the surplus food produced meant that more people could move to the towns and work in activities that did not directly contribute toward agriculture. As can be expected, a vicious cycle ensued, a cycle that is eerily similar to what we are experiencing now (except that, in our case, it is oil that is disappearing, not wood). The forests were cleared, more crops were produced, the population grew, so more land was needed to feed the increased number of people, so more forests were cleared and so on and so on. Eventually, of course, a limit was reached; once the forests had been mostly cleared there was no more new arable land to exploit. 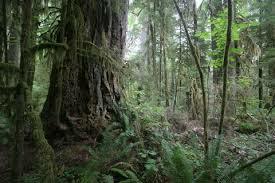 In some parts of Europe the forests were mostly gone within just a few hundred years. The problem with this cycle was not just that society was running out of new available agricultural land, but it was also using up its supply of wood making things. And wood was absolutely crucial to mediaeval civilization — not just as a source of heat, but also as the material of construction for most buildings, all tools and equipment — virtually everything was made by wood, including, of course, the cross plow. Only cutting edges were made of iron. So deforestation created a double edged dilemma: there was no more new arable land and the raw material for equipment, buildings and heat had been depleted to a point of no return. The picture below shows the North York Moors in northern England — an area now regarded as a place of natural beauty. In point of fact, the “natural” beauty of this area is forest, not moorland grazed by sheep. So the people of the late Middle Ages were faced with a conundrum: there is little new arable land and their vital raw material is disappearing. What do? Their answer, just like ours now, was: Alternative Fuels. By the year 1700 an answer was urgently required. In our time there is no shortage of discussion to do with alternative fuels that will be needed to replace our diminishing supplies of oil and gas. Wind, solar and nuclear are all touted as options. When faced with the same dilemma the people of northern Europe had little doubt as to what that replacement fuel was: coal. Coal was not a new source of fuel; people of the middle ages had been using it for many years as a source of heat for their homes. Most of that coal was “surface coal”, i.e., it was taken from surface seams or from the beaches (sea coal). But there was insufficient surface coal to meet the needs of the developing coal-based economy — hence it became necessary to extract coal from underground mines. But, as already noted, the countries of northern Europe have a wet climate (and a high water table in most places) hence the new coal mines were often flooded. Some means of pumping the water out of the mines was needed. To do this they needed two technological devices. They needed high capacity pumps to remove the water from the mines and they needed engines to power those pumps — neither human nor animal power was sufficient. Hence, necessity being the mother invention, the industrialists of that time had to invent the steam engine. In our first post in this series we met Thomas Newcomen (1664-1729), a Baptist preacher and iron worker. He developed a steam engine to pump water from the Cornish tin mines around the year 1710; his invention was quickly adopted by the new coal-mining industry. The essential point here is that men such as Newcomen did not invent these machines because they felt like it — actually demonstration steam engines had been invented two thousand years earlier but had never been commercialized. They developed industrial-scale steam engines because the economy of the time needed them. The forests were “past peak”. The invention of the steam engine had many, many unexpected consequences: some good and some not so good. Taken together these consequences radically changed the nature of society. Examples of these unanticipated changes include the creation of railways and the development of the chemical industry. Considering railways first, prior to the 18th century there had been no need for a highly developed transportation system. Wood was harvested close to where is it was used and, because its density is quite low, it could be carried on carts or the backs of animals. However, once the coals mines were up and running, a much more robust means of transport was needed. 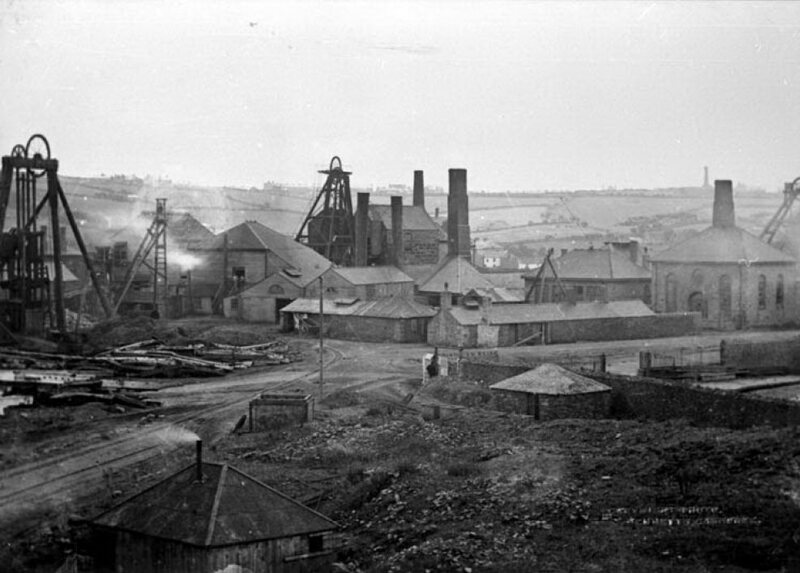 The mines were often a long way from the people and industries that used it, it has a high density and the amounts being used were much greater than had been the case previously. Moreover coal could not be carried on carts over the unpaved roads of the time — the wheels of the carts created huge ruts making that form of transportation infeasible. So what was done was to put the newly-invented steam engine on a frame, put that frame on wheels, put those wheels on iron rails and, lo and behold, the railways have been invented. The consequences of that invention were enormous. Another consequence of Newcomen’s invention was the creation of the chemical industry. At first coal was used primarily for heating, but the hydrocarbon molecules that make up coal are very complex and can be used as the building blocks of many other chemicals. When a new energy source is ready to be exploited (coal in the 17th century, oil in the 20th century) new technology may be needed but that that technology can be quite simple and not too costly. But, as time goes by the resource becomes more difficult to extract and increasingly complex technology is required. After all, why did Newcomen need to invent his steam-powered pump? Tin had been mined in Cornwall since Roman times without the need to advanced technology. The reason was that the easy-to-find and extract tin ores had been worked out, so the miners were having to dig deeper and deeper mines in order to stay in business. With the invention of the steam engine what we now call the Industrial Revolution was up and running. This video of the Newcomen engine shows just some of the engineering aspects of that the new technology (it does not show how they disposed of the condensate from the steam cylinder). To us the engine looks primitive and inefficient, but consider some of the new challenges that the engineers of that time faced. Since the pump actually does work on its vacuum stroke the maximum distance that it can lift a column of water is 32 feet. They needed to understand the thermodynamic principles behind this limitation. A counterweight is needed to raise the piston (the steam pressure was too low to do this). A control system has to be developed — originally this was totally manual. An operator would open then close the valve that injected water into the cylinder. Gaskets are needed to maintain a seal around the piston heads. Wood to Coal to Oil to ? At the head of this post is the following quotation. In the early 18th century the primary energy source for northern Europe (and later many other parts of the world) changed from wood to coal. The next transition, which occurred at the beginning of the 20th century, was from coal to oil. We will look into the nature of that transition and some of its consequences in future posts. And now, in the early years of the 21st century, 300 years after the construction of the first commercial steam engine we are on the cusp of another transition. The Oil Age is coming to an end. What new source(s) of energy will replace oil and how will they affect society in general, and the profession of engineering in particular?